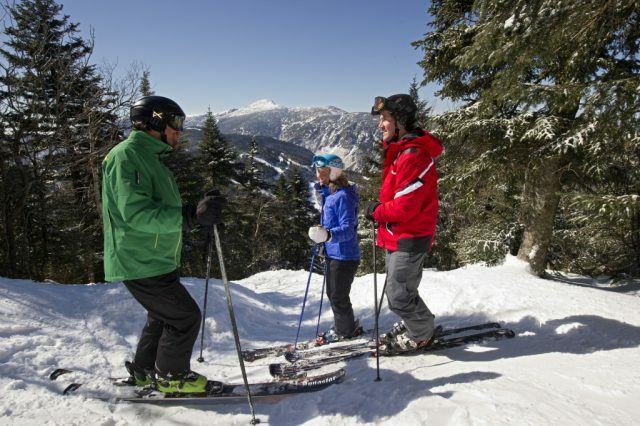 We love to hear tips from other parents about how to have a fantastic ski vacation. 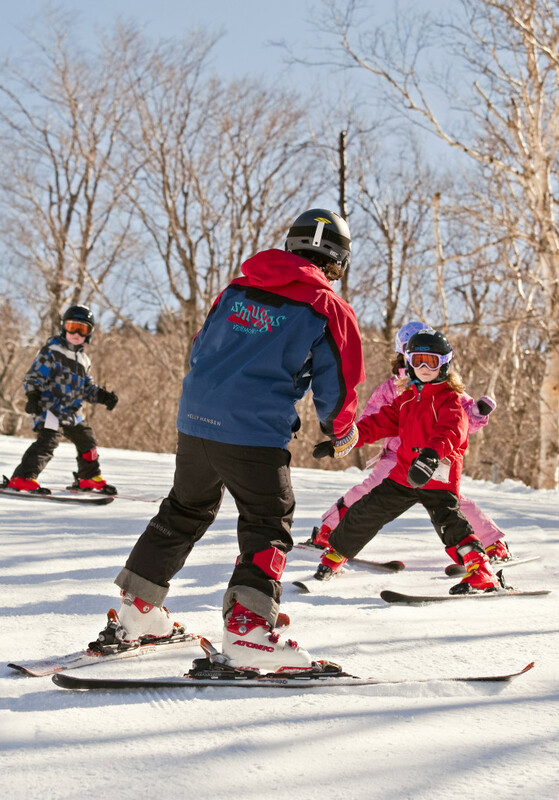 In this post, sponsored by Smugglers’ Notch Resort in Vermont, Amy Whitley of Pit Stops for Kids explains why Smuggs is the perfect place for first-time skiing families. My family is fortunate to live within a short drive of ski resorts, and as a result, my kids have been skiing since before they entered preschool. Skiing and snowboarding is a very natural way for us to spend a winter Saturday, and we take frequent weekend ski trips away from home. Even with expert skiers and snowboarders who know the ropes, however, ski trips are not always a walk in the park. The logistics of a ski trip—gear, weather conditions, ski school, lodging!—can be intimidating to even the most experienced. For skiing newbies, it’s downright overwhelming. If you’re a new-to-skiing family, don’t give up. Ok, maybe only we say that, since Smugglers’ Notch Resort in Vermont is our #1 pick for families with young kids or new skiers. Why? After experiencing Smuggs with a three-year-old and one-year-old, my East Coast blog editor declared Smuggs to have the most family-friendly ski and lodging packages she’s seen, making planning a ski trip simple. No need to make a dozen decisions mid-vacation: their Club Smugglers’ packages include on-site lodging, lift tickets, their must-do family fun zone, and can even include lessons and a half-price discount on child care. This is as close to an all-inclusive ski vacation as you can get, and with all these details out of the way, families can focus on winter fun. After deciding on the right package for their family, parents need to decide where they want to stay. Smuggs is comprised of five distinct lodging communities. If skiing with the younger age set, opt for Village East, which is in easy walking distance of the beginner meeting area, Morse Mountain lift and the Village Center. Skip shuttle rides or parking! Condos come equipped with everything but the groceries: Linens are on the beds, pots and pans are in the kitchen. With their choices including condos sized from one to five bedrooms, families have space to spread out, make their own meals, and sleep in separate beds. If you’d rather not cook, Morse Mountain Grille is kid-friendly, and even offers take-out. In Village East, families can walk to the indoor Fun Zone or heated swimming pool after the ski day (both included in packages). Older kids have lessons of their own, and teens are entertained at Teen Alley and Outer Limits, supervised spaces just for them. 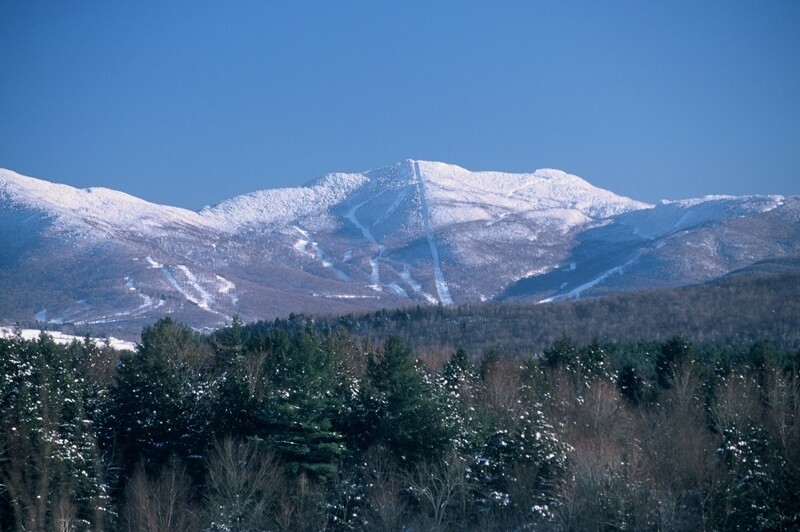 And if you have skiers of various abilities, Smuggs offers not one, but three distinct mountains: while Morse Mountain offers the most beginner terrain, Madonna and Sterling step it up with intermediate and advanced runs and expert terrain. All mountains are easy to access from the Resort Village and none require car transportation or shuttles (although a shuttle does loop between the Village and the upper mountains throughout the ski day). No matter where you are in Smuggs or what your day’s activities entail, you’ll have amenities to support your family’s ski vacation. The vibe at Smuggs is low-key, with an emphasis on family fun, learning, and play. Spend two or three weekends per season here and your kids will be zipping around the slopes while you wonder how ski vacations got so easy! If you’re interested in learning more about Smuggler’s Notch Resort, be sure to check out all my other posts.